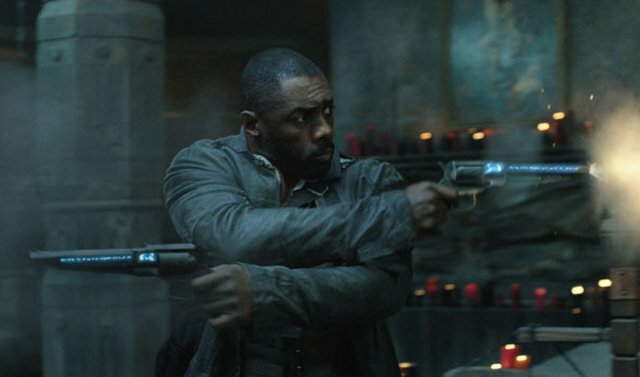 Columbia Pictures and MRC‘s adaptation of Stephen King’s The Dark Tower opened in first place domestically with an estimated $19.5 million, a surprising result considering the number 19 is important in the book series. Made for $60 million and receiving a B CinemaScore from audiences, The Dark Tower played in 3,451 theaters and averaged $5,651 per location. Internationally, The Dark Tower opened in, appropriately, 19 markets with a gross of $8 million from 3,800 screens. Russia led the way with $4.1 million from 2,150 screens. The international release continues over the next three weeks, including France (Aug. 9), Germany (Aug. 10), Italy (Aug. 10), Australia (Aug. 17), UK (Aug. 18), Spain (Aug. 18), South Korea (Aug. 23), Brazil (Aug. 24) and Mexico (Aug. 25). Directed by Nikolaj Arcel, film stars Idris Elba, Matthew McConaughey, Tom Taylor, Claudia Kim, Fran Kranz, Abbey Lee, and Jackie Earle Haley. With Warner Bros.’ Suicide Squad debuting to $133.7 million domestically this same weekend last year, Hollywood is looking at an overall 46% drop in ticket sales this weekend. Marvel Studios and Sony Pictures’ Spider-Man: Homecoming webbed up $8.8 million in sixth place to bring its five-week North American total to $294.9 million. Internationally, the film added $9.6 million to take its total to $376 million and worldwide sum to $670.9 million, with Japan (Aug. 11) and China (Sept. 8) still to come. Directed by Jon Watts, Spider-Man: Homecoming stars Tom Holland, Michael Keaton, Zendaya Coleman, Donald Glover, Jacob Batalon, Laura Harrier, Tony Revolori, Tyne Daly, Bokeem Woodbine, Marisa Tomei, and Robert Downey Jr. The film was made for about $175 million. War for the Planet of the Apes (20th Century Fox) brought in $6 million in ninth place and has earned $130.3 million after four weeks. Internationally, the third installment added 14 new markets and grossed $31.5 million from 10,592 screens. The overseas total is now at $147.8 million and global total at $278.1 million, with South Korea (Aug. 15), China (Sept. 15) and Japan (Oct. 13) still to come. Made for about $150 million, the Matt Reeves-directed sequel stars Andy Serkis, Woody Harrelson, Steve Zahn, Amiah Miller, Karin Konoval, Judy Greer and Terry Notary. Also of note is Warner Bros. Pictures’ Wonder Woman, which has now earned $399.5 million in North America and is about to become only the 27th film ever to reach the $400 million mark in North America. Wonder Woman‘s international total is up to $393.9 million, for a worldwide total of $793.4 million. Made for $149 million, the Patty Jenkins-directed film stars Gal Gadot, Chris Pine, Robin Wright, Danny Huston, Ewen Bremner, Saïd Taghmaoui, Elena Anaya, Connie Nielsen and Lucy Davis. James Gunn Talks Guardians 3 Title and Completing the TrilogyWatch the Full Inferno Music Video for Guardians of the Galaxy Vol. 2!